750 Watt professional grade power inverter kit. 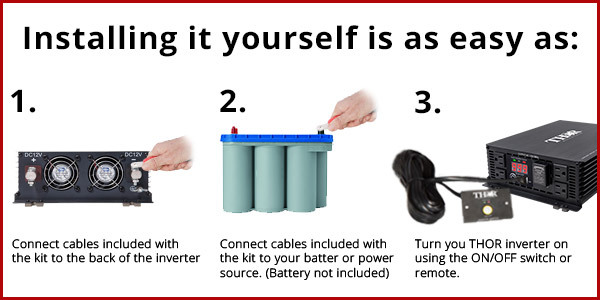 Allows connection from power inverter to battery bank. Plug & Play design. Best efficiency and highest safety level. Low maintenance. Strong and compact, THOR power inverters have been designed to support professionals looking for superior performance in an affordable package.